Dog Training Collar consists of two main components: A receiver that comes attached to an all-weather collar and a hand-held remote control transmitter that send signals to the receiver. The remote dog training collar is one of the most effective, simplest and most humane training system by allowing you to control your dog from a distance. All remote training collars consist of a handheld transmitter that operates the collar remotely via a short or medium range radio frequency. Remote collar delivers a harmless sensation to your dog when the button is pressed from the transmitter. 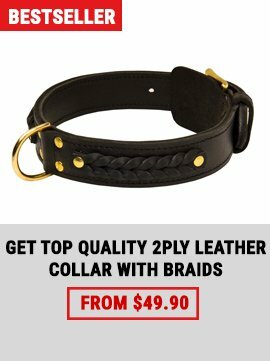 There are many different types of dog training collar available in the market to suit different function, needs and all kinds of dog activites. 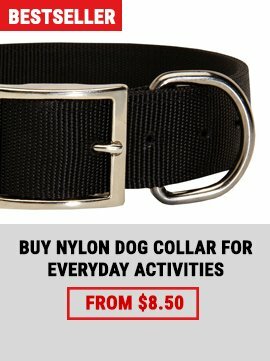 Sometimes, it is so hard to pick the right training collar as more breed of dogs are now domesticated. Dog Training Collar 4 Less allows you to choose from around 50 different kinds of remote dog training collar, vibration collar, beeper collar, remote trainer, sporting collar, plain buckle collar, choke chain, martingale collars, head collar, the snap-around and limited choke collar and the pronged collars or known as German Pinch from our Top distributors and manufacturers: Innotek and Pet Safe. The electronic dog training collar is a special type of device, it is a high-tech piece of equipment meant to be used in conjunction with an electronic training system to train your dog. The remote dog training collar works by transmitting a radio signal to your dog's skin. 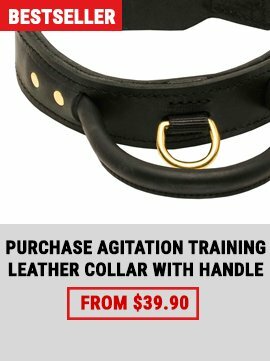 This gets your pet’s sensation instantly and allows you to work with your dog to train them. 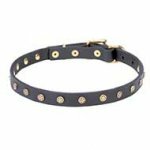 Electronic dog collar is used to teach your dog to obey commands and to restraint your dog from undesirable behaviour. There are different styles of electronic dog training collar, and it is important that you choose one that is appropriate for your dog. Consider the size of your dog, smaller dogs requires only a smaller electronic dog training collar with a lower radio frequency while larger dogs needs a high radio frequency training collars. Size of your dog is very important on buying an electronic dog collar, if you choose a large collar, your dog may suffer unnecessary stimulation while a training that is too weak, your dog may not respond from the radio frequency stimulus. Most electronic training collar clearly indicate what size of dog the training collar is intended for. Many people think that using an electronic training collar is cruel and inhuman, this is not TRUE! Basic dog training is difficult and can be make the process easier with an electronic training collars. In the hands of a knowledgeable person, an electronic collar can be one of the best training aids available. The stimulus administered is usually no more than a nuisance on helping you to teach your dog good behavior, ignore distractions, and to listen and obey commands. The best way to use a training collar is only when the dog is doing unwanted or undesirable behaviors that you do not want them to do. They shouldn't be used too frequently as your dog may tend to get used of it and so will ignore the correction on what you want them to do. As the electronic training technology grows less expensive, it becomes increasingly popular. Savvy manufacturers and marketers will continue to develop products that offer pet owner more comfort with a wide variety of electronic training collar tools.